Hearthstone: Who Are These Old Gods & Why Do They Whisper? 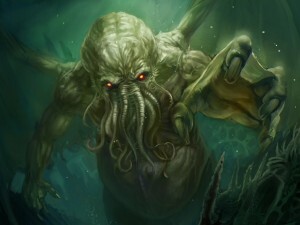 Cthulhu, where it all began. Earlier this week, Blizzard Entertainment dropped another notice on the Hearthstone: Heroes of Warcraft community. The next set of cards is entitled the Whispers of the Old Gods. For players introduced to Warcraft from Hearthstone itself there are likely numerous questions. Who are these Old Gods? Why are their whispers of such interest? Of such power? 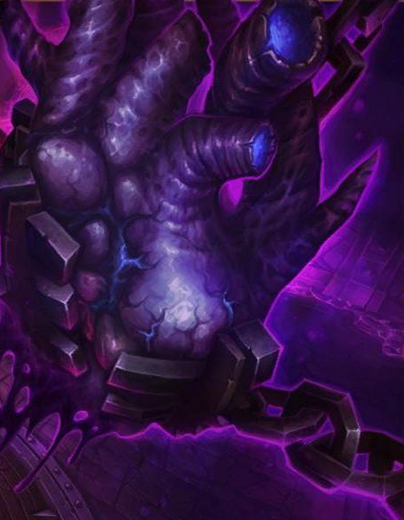 How many Old Gods are there? How many Old Gods were there? The world of Azeroth has been around for countless millenia. The early days of the planet were besieged by chaos, destruction and havoc from the beings known as Old Gods. The collection of unfathomable evil came from the greater Material Plane (as opposed to the demonic plane of the Twisting Nether). Their individual power was unmatched. Races and civilizations were built around their bodies to serve their will. Their own organic matter gave rise to others, simply to serve. Lesser Elementals were bent to their will. Until the four Elemental Lords put aside their infinite differences, overcame their individual corruptions and rose against the greater evils nothing challenged the Old Gods but each other. The Elemental Lords did not succeed. Their victory, though never fully realized, was ruinous to Azeroth. It’s flora, fauna, citizens, landscapes, nothing was free of the destruction. The struggle raged and ages passed until enemies of the Elemental Lords, the Titans, returned and took up arms against the Old Gods. Titanic victories followed. One by one the Old Ones fell. As all-out victory neared the Great Ones made a horrific discovery; death of all the Old Gods would be a pyrrhic victory. So entwined had the Gods Below become with Azeroth that their demise meant planet-wide destruction. The titans, left with no alternative, kept the remaining Shath’Yar alive, imprisoned and watched, to save the earth. Beings of such immense power aren’t imprisoned forever, no matter the chains. Legends of old may provide insight to the powers of the living. Or they may return if the Adventurers don’t remain vigilant. Lots of eyes to poke as a rogue. Status: Killed by Adventurers during World of Warcraft. Summary: C’Thun was the first Old God introduced to the masses. Rumors, hints and mentions of the beings had persisted in the greater Warcraft universe for years, but nothing was fleshed out. For the most part, their existence was conjecture. Teases that only made sense once the War of the Shifting Sands began creeping into the playable world of Azeroth. Thousands of years later, he reawoke. Bent on capturing any dragons that dared challenge him again, C’Thun and his Qiraji army reshaped the landscape of Azeroth and challenged Adventurers like never before. The parade of bosses were challenging, but nothing compared to having to work with the opposing faction simply to access his domain. The success and failures of C’Thun and his rise altered Blizzard’s design of World Events, raiding, and lore forever. Good money says Yoggy was bottlefed. Status: Killed by Adventurers during World of Warcraft: Wrath of the Lich King. Summary: “ALL SOULS CAN BE DEVOURED.” Yogg-Saron wasn’t even excited by his own anecdote. Why would he be? He’s the Beast with a Thousand Maws, the Fiend of a Thousand Faces, the God of Death among all beings on Azeroth. One of the remaining Dark Eldars left imprisoned, not destroyed, by the Titans of the primordial age. The malevolent entity responsible for the Curse of Flesh. Imprisoned with guards. Watchers that would not hesitate to rid the world of any soul foolish enough to enter the vicinity of such evil. Take one life, dozens, hundreds to save a planet. In the end, the Watchers were…let’s say convinced…that ridding the world of such evil was worth the risk of his enslaving those looking to end his imprisonment. Summary: N’Zoth has never been confirmed to be alive, imprisoned or otherwise. A corporeal sentience matters not to the powers of a malefic being. A being that sparked the Emerald Nightmare and all it has wrought. Adventurers the world over are still pieces together exactly how far N’Zoth has reached into Azeroth. 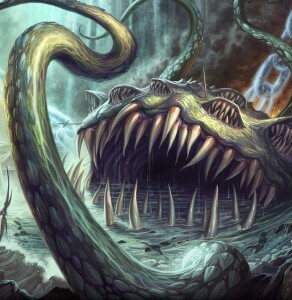 If his whispers and general presence in the ocean alone caused Nelthation’s ultimate corruption, an act so violent that all of Azeroth was torn asunder, what could this Drowned God at full, focused power? Did each of the seven heads have a dedicated valve? Status: Killed by titans before imprisonments began. Summary: Unlike his watery colleague, Y’Shaarj very much died at the hands of the Great Ones. As it lay dieing, Y’Shaarj cursed Pandaria, the land he lay, to suffer the shadows of his former self. 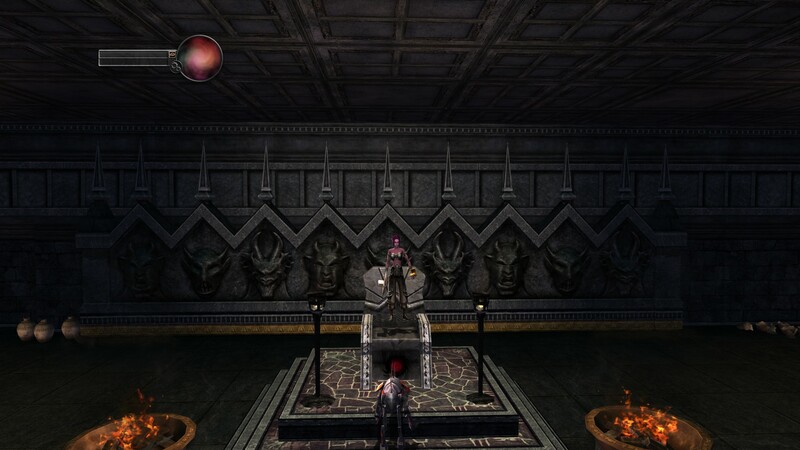 Thus gave rise to the Sha, the main antagonist for the Pandarian race and their new friends in the Horde and Alliance. The creation of the Sha came at the death of an Old God leaving these natural allies in the race created during Y’Shaarj’s reign, the Mantid and, later, the Klaxxi splinter group. Again, death proved an impediment to Y’Shaarj’s meddling in the lives of Azerothians. The heart of the beast was restored by Garrosh Hellscream adding to his crazed power and True Horde manifest destiny. The number of Old Gods, dead or alive, remains shrouded in mystery to this day. Theories abound. Adventurers through the ages have heard rumors of three to five Old Lords of the Earth potentially chained beneath the land by titans. Chained, but plotting. The power that remains unchecked, potentially three living Dark Eldars, may see their bonds broken to consume the world still. Until they are dealt with the whispers that drove Deathwing to his end will continue. Only those with the mental fortitude will remain on the rights side of history. The living side. 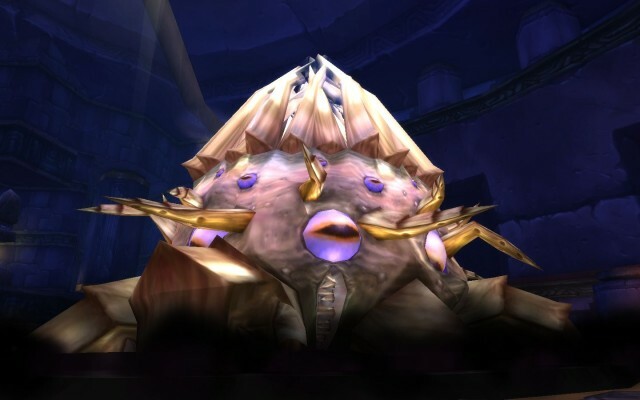 Now the ultimate question, which of you WoW players has actually dispatched an Old God? Two perhaps? Anyone been a part of a quadrakill?! Interested in hearing more about Hearthstone and the Old Gods? Then be sure to tune into tonight’s F2P Friday stream with Shaktaji and myself. We’re kicking it off at 7:30 PM EST.